Washington, D.C. – Senator Barbara Boxer (D-CA) today testified before the Senate Veterans Affairs Committee on the Check the Box for Homeless Veterans Act of 2011, legislation that offers taxpayers the opportunity to help keep those who have served our country off the streets by making a voluntary donation on their annual federal income tax return to support programs that prevent and combat veteran homelessness. According to the Department of Veterans Affairs, every night more than 67,000 of our nation’s veterans are homeless and nearly 145,000 veterans spend at least one night a year in an emergency shelter or transitional housing program. Senator Boxer’s bill would create a “check-off box” on the annual tax return form that would allow taxpayers to make a voluntary donation of $1 or more to a new Homeless Veterans Assistance Fund established in the U.S. Treasury. Donations would be used to provide housing and other assistance to homeless veterans through partnership initiatives at the Department of Veterans Affairs, the Department of Housing and Urban Development and the Department of Labor. The legislation was introduced last November by Senator Boxer along with Senators Mark Begich (D-AK) and Jeff Merkley (D-OR). In the House, Representatives Steve Israel (D-NY) and Tim Murphy (R-PA) have introduced a companion bill. Madam Chairwoman, Ranking Member Burr and Members of the Committee—thank you for the opportunity to testify before you today. I’d like to take a few minutes to talk about one of the saddest issues facing our nation—the epidemic of veteran homelessness. For many of us in this room, having a safe, comfortable, permanent home is often something we take for granted. But each night, approximately 67,500 of our nation’s veterans are homeless. This is simply inexcusable. No veteran should ever have to spend a night on the streets. But ensuring that our veterans have safe, stable housing is not just the right thing to do—it is the smart thing to do. Research and experience have shown that a home is the foundation on which a veteran can build and sustain a successful life. This has proven to be true time and time again for veterans like Hobert Lee—a formerly homeless veteran that I had the opportunity to meet last year. Mr. Lee served two tours of duty with the Marine Corps following the Vietnam War. When he returned home and ended up addicted to drugs and homeless on the streets of San Francisco , the nonprofit organization Swords to Plowshares helped him turn his life around. With the help of a housing voucher and support services provided by a joint VA-HUD program—Mr. Lee now has a home to call his own. And today, as a vocational rehabilitation specialist at the San Francisco VA , he is working to assist other homeless veterans. Hobert Lee is a success story—proof of what can happen when we end the cycle of homelessness. But there are too many more men and women like him across the United States that we have yet to reach. It is clear from the Secretary’s words that despite significant investment by the federal government and some measurable progress, we still have a long way to go before we end veteran homelessness once and for all. 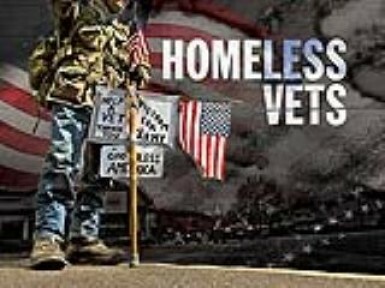 That is why I introduced S. 1806, the Check the Box for Homeless Veterans Act of 2011. This is a very straightforward bill. It creates a “check-off box” on the annual federal tax return form that allows taxpayers to make a voluntary contribution of one dollar or more to support programs that prevent and combat veteran homelessness. These donations would be deposited and safeguarded in a new Homeless Veterans Assistance Fund established in the U.S. Treasury, and would only be available to supplement congressionally appropriated funds for initiatives within the VA, the Department of Housing and Urban Development and the Department of Labor that address veteran homelessness. Now, let me be very clear. The funds generated by this “check-off box” would not be a replacement for budgeted dollars. Funds generated by the “check-off box” would be used to supplement federal dollars and enhance our ability to support critical programs that work to end veteran homelessness. So many Americans are eager for a chance to help give back to the brave men and women who have served in our military. This “check-off box” is a simple but meaningful way for us all to do our part and show that our veterans deserve more than just our gratitude—they deserve our full and enduring support. I look forward to working with you to make this happen. Consider a franchise? Consider a franchise consultant! What Are the Best Jobs for Veterans?